The World JOTA-JOTI Team has started the world-wide station registration system. Please register your station at JOTA-JOTI Registration. Make sure you read through the instructions. Registration requires that you have a scout.org username. It's a pretty simple process, explained on the sign up page. Once you have your scout.org username, you'll have full access to the registration system as well as many of the JOTA-JOTI activities that will be underway during the weekend. If you have further questions, you can review the FAQ page. Go to the scout.org log in page and enter your username and password or, if this is your first time, register as a new user. Go to JOTA-JOTI Registration. Click on the link to enter the registration system. Sign Up for — Boy Scouts of America is part of the World Organization of the Scout Movement (WOSM). Girl Scouts is part of WAGGGS. Note that JOTA-JOTI is a WOSM event and they've invited WAGGGS to participate. Other youth organizations have not been invited. National Scout Organization — Boy Scout of America, or in the case of WAGGGS, Girl Scouts of the USA. Name of Group — That would be your Scout Troop, Cub Scout Pack, Venturing Crew, Scout Council, or even your amateur radio club. Amateur Radio Call Sign — If you're using amateur radio, this would be your station's call sign. Other Identifiers — You can enter your Twitter handle, Facebook page, Skype information, etc. Use the "add another item" button to add each identifier. If you don't have any identifiers, there's no need to complete this item. When — Enter times that you'll be participating in JOTA-JOTI. Contact Person — Enter your name and email address. JID — Please do not fill in this item. A JamPuz ID (JID) will be issued when you register. There's further explanation at JamPuz. Please also note that participation in JamPuz is optional. After you've submitted your registration, you'll receive an email confirming registration, providing a JID, and a link to update your registration if needed. K7QQQ, above, filed their JOTA report in 2014 and provided some great photos. Please add this important aspect of the weekend to your plans for Jamboree on the Air in 2016. We need your report to demonstrate the success of JOTA to those in Scouting and amateur radio. 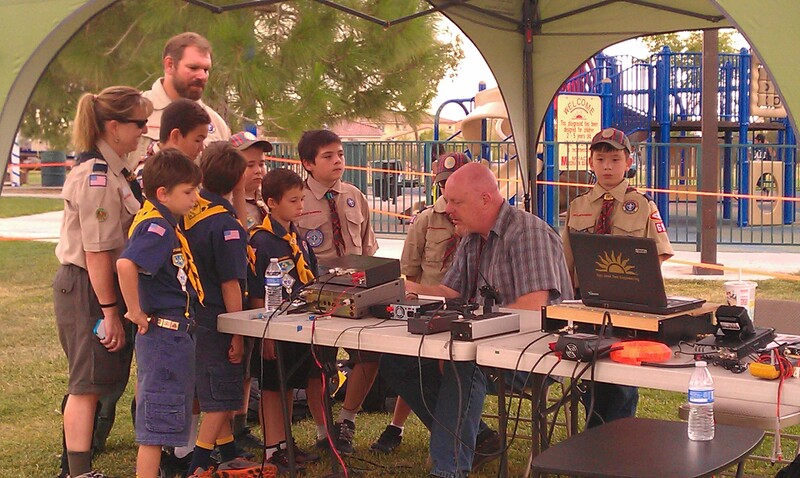 During the event capture a few key numbers: Scouts and Girl Scouts participating, visitors participating, amateur radio operators involved, radios on the air, total number of contacts, as well as states and countries contacted. We would also like to see your best photos and hear some stories about your event. Add this to your JOTA action plan and make the assignment to someone on your team. You can find a full list of things to do for your report at JOTA Station Report Best Practices. If you're not yet ready to register your JOTA station but want to receive email updates, or if you just want to get on our mailing list, you can sign up at JOTA Email Sign Up.